When it comes to design and planning of detached garages, you will find there are a number of contractors in the region. But when you hire someone for the job, you need the assurance that the structure will be planned and designed to perfection and built as per code. This is where our experience and expertise come into the picture. We at Big Kahuna Construction Inc. are a unique company that provides excellent detached garage construction solutions to clients in and around Phoenix, Sun City, Peoria, and El Mirage. Creating stunning garages and ensuring that clients get custom solutions has helped us build a solid base in Scottsdale, Tempe, Glendale, and Surprise. Our expertise in this space has seen us create amazing structures in Sun City West, Goodyear, and Sun City West. Many property owners from the surrounding areas like Avondale and Mesa contact us for all their new garage construction requirements. A detailed survey will be conducted of the available space. We have discussions with you to understand what your ideas and requirements are. Our team will conduct a feasibility report and also request you for plans of underground utilities on your property. This is an important aspect of the job as the new construction would need a foundation and footings. Once we have all this information, our detached garage designers will provide plans. They will also show you various materials, and discuss color and design themes. The idea is to make sure you get a structure that will be a value-add to your home. Care will be taken to ensure that the design and architectural elements of your new detached garage complement the look of your home. This means you don’t have to worry that the feature will stand out like a sore thumb on your property. The best exterior-grade materials and paints will be used in the structure. This will keep it well-protected from the elements and prevent early deterioration. The indoor space will be designed with as much attention to detail as the exterior. You can choose from various installations and rest assured that factors likefunctionalityand ease of maintenance will be kept in view at all times. Regardless of the materials, dimensions, size, and shape of garage you want, we can provide you the best solutions. We are committed to providing high-quality solutions at the most reasonable detached garage cost. If needed, we can also design and install landscaping in the space surrounding the detached garage to beautify the space and give it a complete look. 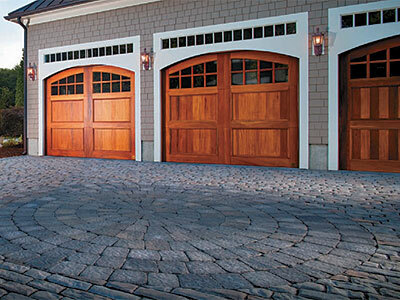 If you need any kind of new detached garage construction done, we are the contractors to call. With us, you are assured of top-notch services at the most competitive rates. For more information, call Big Kahuna Construction Inc. at 623-566-8809. You can send us your queries using this online form.